On Sunday of Memorial Day weekend, we headed north from Richmond, seeking a small adventure. There were some new wineries to visit, coupled with a new foodie experience, all in the great outdoors. It was one of those times we found exactly what we were looking for. 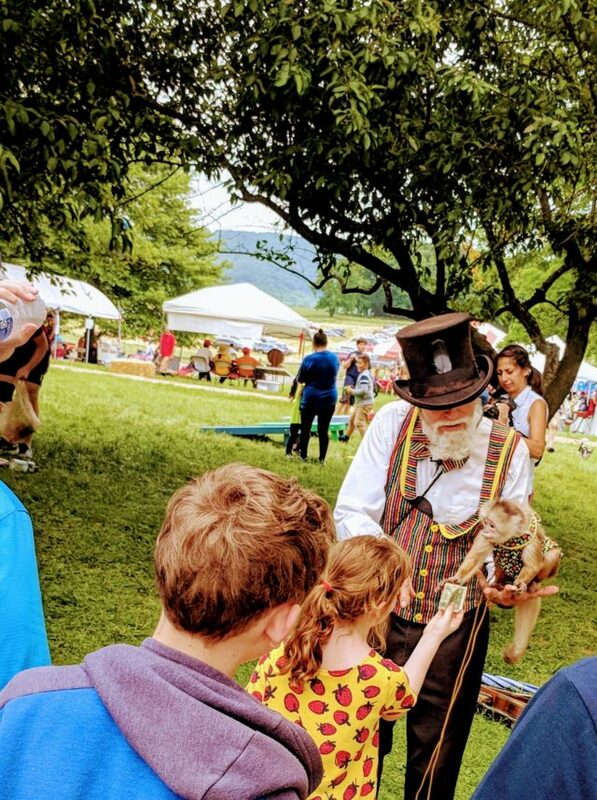 It was a magical day in Delaplane, VA.
As we journey and search for interesting people and places to feature here on Boomer Connections, we seek those with “heart”—people who are especially passionate about what they do, and places that are especially beautiful and engaging…experiences that make us say WOW we love this! 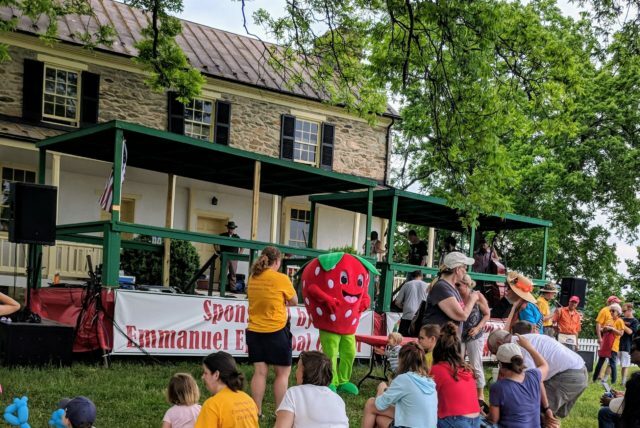 Our primary reason for visiting Delaplane was to check out their annual Strawberry Festival. 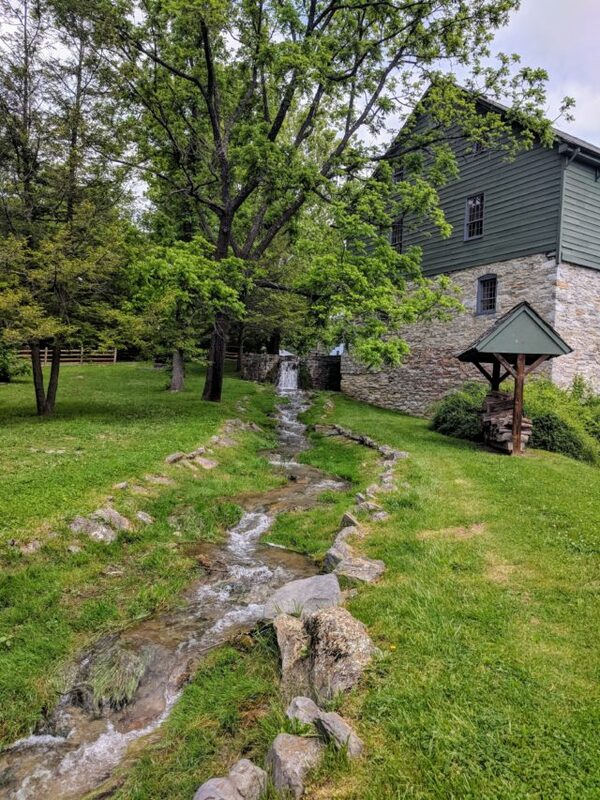 Route 17 in Northern VA is a well-traveled route for me, and I have passed the sign advertising the festival at the beautiful picturesque Emmanuel Episcopal Church in Delaplane for some weeks now. The festival grounds are actually at Sky Meadows State Park, but it is held by and benefits the church. 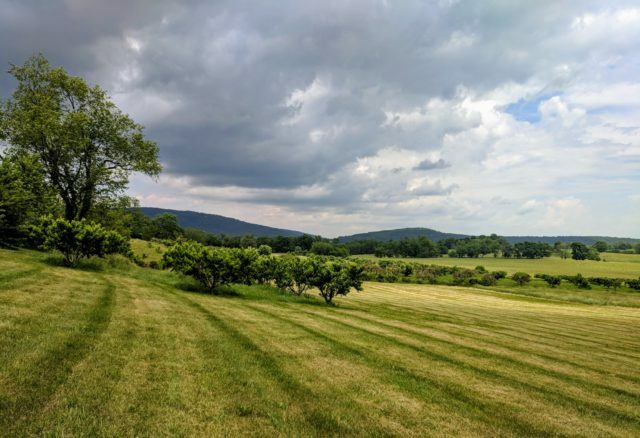 Seriously… “Sky Meadows”—isn’t that just the most beautiful name? And how about “strawberries”? What lovely combination and mental picture. We were in! Delaplane is in Fauquier County VA, less than an hour west of DC, but like a different world. It is one of the most stunning pastoral settings you will ever see. Rolling green hills, cows grazing, stately properties, vineyards, and horse farms. This is where Jackie Kennedy came to ride. We were meeting up with family, and the first order of business was to grab something to eat and formulate our plan for the day. We chose Locke Store in Millwood, VA as our meet up site. I found Locke Store online, where it is described as a “Modern Country Store.” It is so fun! 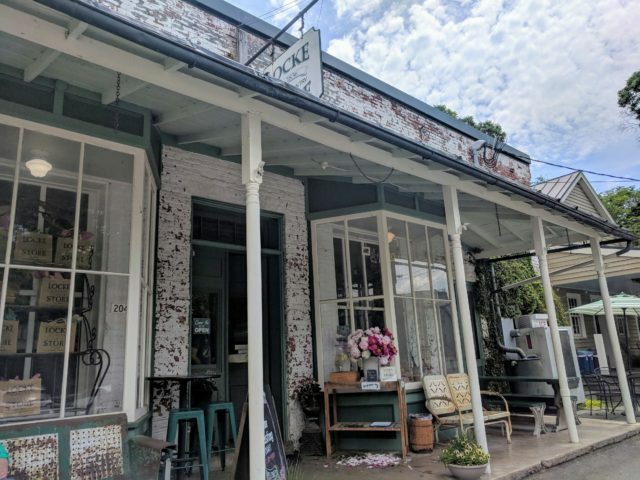 All the best things right in one little building: a house deli and bakery with intriguing fabulous edibles, wine, cheese, and an ambiance that reflects its founding in 1836 and the historic landscape that surrounds it. It was like going back in time…in the best possible way. OMG the food. I was like a kid in a candy store. I made a mental note that next time we foray into NOVA wine country we will stop at Locke Store and assemble the most fabulous picnic. You order at the counter and then take your old-timey metal tray outside on the porch. Since we had our dog Coco Bean with us, we wanted her to have a little shade and space. So the nice people at Locke gave us the best idea. Directly across the street is an historic mill property. 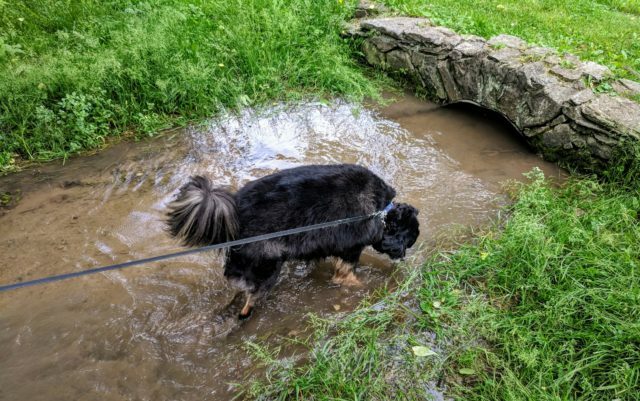 A beautiful stream that once serviced the mill wheel runs right through it, and then beyond, a little clearing with picnic tables to enjoy the Locke goodies–and they were so very, very good. And there is more than just incredible food, a quaint and historic grocery store concept, nice people, and the stunning location…. On their website, Locke Store notes that “Whenever possible we offer exceptional local and regional products, supporting our neighbor in sustainable agriculture and cottage industry.” So not only can you buy food at Locke Store, you can purchase products from the many local businesses in the community. Deliciousness is even sweeter when it comes from the heart. The day could not possibly have started out on a better note. We decided to go to a winery next and then on to the Strawberry Festival. 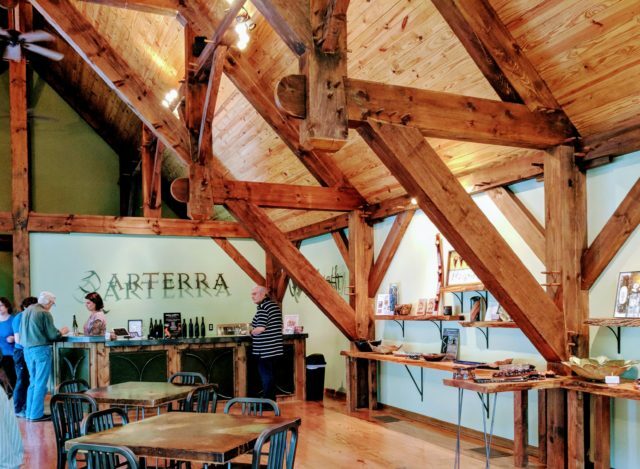 We made our way to Arterra Wines. We chose the winery because of its proximity to the festival but quickly realized we had found a winery with heart. 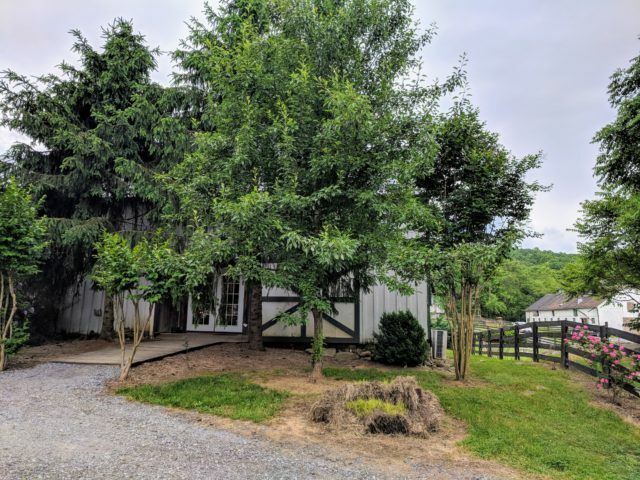 Located at 1808 Leeds Manor Road in Delaplane, it is up, up, up a long gravel driveway through dense woods, so when you reach its mountain perch you feel a sense of pure air. Now how cool is that? Jason was our tasting host, so we heard the story directly from the source. Jason, who has been growing grapes since 2003, seeks authenticity in the process of winemaking. For example, using Native Yeast fermentation and avoiding additives, and letting the grapes do their own thing, each variety ripening slowly and then fermenting naturally. He explained that Arterra seeks to capture the true Virginia “terroir” character in its wines. 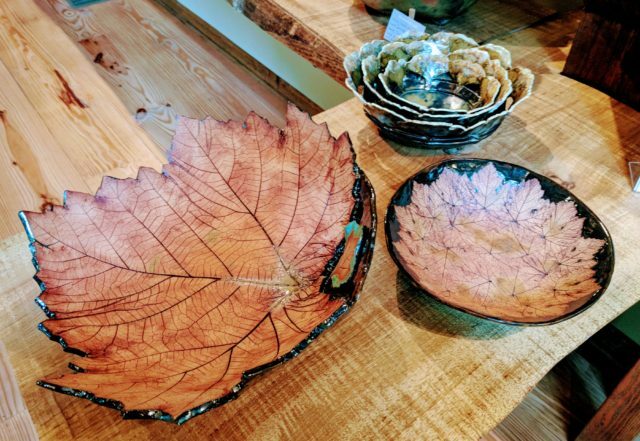 And just as the wine reflects authenticity and the connection with nature, so does the art, as you can see in the photo of just a few of the many pieces on display in the studio. 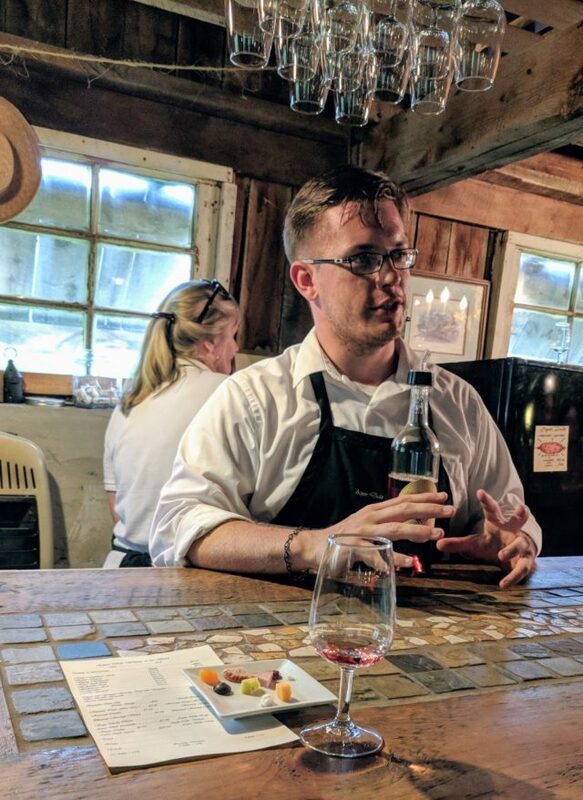 We sampled 7 wines, from a dry Riesling and a Chardonnay; to a series of 3 reds we felt were especially reflective of the natural process and Virginia terroir that Jason described to us. However, the 2 sweeter fruit wines at the end also beguiled everyone in the party, especially the Blueberry Apple. Art and wine combined to express the “heart” we felt at Arterra: The fact that Sandy’s art studio (and impressive kiln) shares the space with the winemaking operation that Jason is so obviously passionate about…That both the wine and the art are created with love and respect for nature and its bounty. Thus inspired, we were off to the Strawberry Festival. 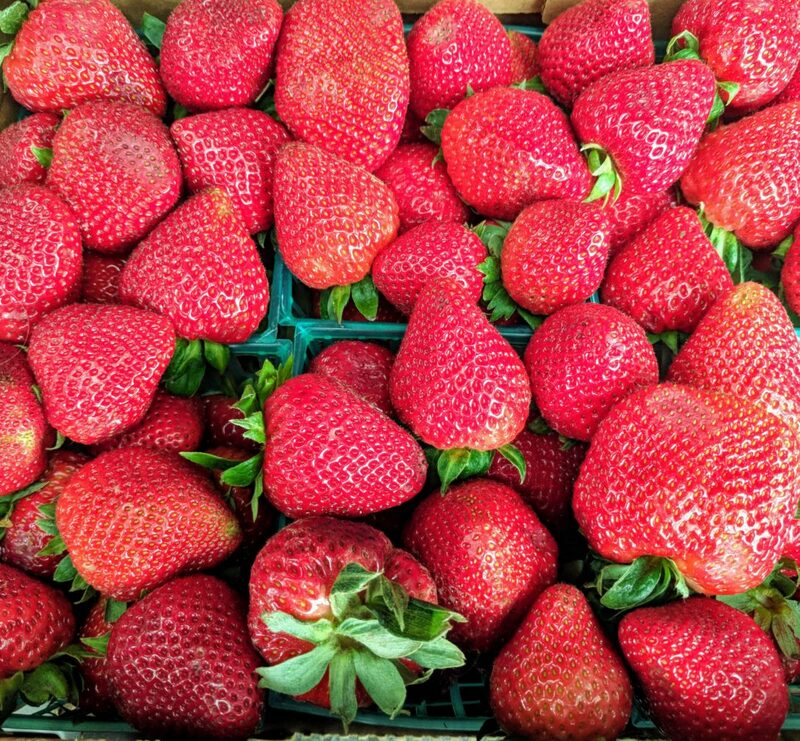 Favorite thing about the Delaplane Strawberry Festival: Well…strawberries! We got a pallet and now are enjoying them with intent, as they have a short shelf life. Here is why it had heart: It was such a perfect family venue. Our dog Coco Bean and all of the many pups present were welcome. Barry the Berry, the festival’s mascot strolled through the crowd, taking pics with the kids and then moved on to central stage to judge the strawberry sundae-eating contest. There was music, a tractor pull, and an antique car show. We arrived toward the end of the day and the French fry and perogie stand guy gave me some extra perogies, so I even felt compelled to share with my compatriots. There was a food truck that served only bacon stuff! If you wanted to go totally carb free, you could get a hunk of several different types of bacon on a stick. There was an old-fashioned organ grinder (except he played an accordion rather than an crank organ). His monkey accepted small bits of food from the kids and delighted them with his antics. Everyone handling the traffic and berry selling was really nice. The vendors—food, jewelry, etc.—all were very engaged and loved talking about their handiwork, especially the artisan who made fascinating wind chimes and other products from antique silver items, and the couple who made BBQ and other sauces and gave us all kinds of great grilling ideas. Filled with berries and pleasantly tired from all the sun and heat and excitement, we decided to chill out at one more winery before heading home. We chose wisely in Aspen Dale Winery, the perfect closing to this lovely day. We strive to produce and serve excellent wine, presented in a fun and unique way. We hope to encourage you to explore the wonders of wine and food. And we aim to ensure that each time you visit, you feel at home and relaxed. That mission was completely achieved during our visit this day. We loved that it was dog and kid friendly. We could actually bring Coco Bean inside and out of the heat…but doggies just must stay off the furniture! There is a resident cat, who gives the dogs something to think about, but tends to lounge in her lofty perch near the entrance. Lots of families were there and everyone seemed to be having a great time. The 50-acre grounds are lush and beautiful and of course you can hang out outside to enjoy your wine as well. 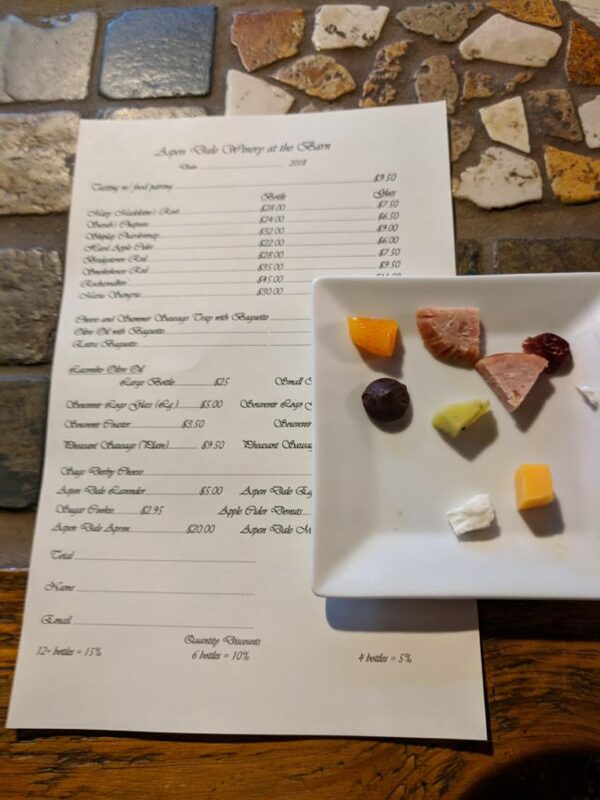 I especially loved that the wine tasting was accompanied by a plate of tiny food pairings. You were asked to sip the wine first by itself, and then with the bit of food, so you really got an idea for the interplay between food and wine. We tried seven wines and one hard apple cider. The latter was made in the traditional Old English style, not the highly fermented and bubbly one I am used to, which was really intriguing. The reds were paired with smoked pheasant sausage as well as dried cherries, chocolate and goat cheese…the whites with cheddar cheese and dried apricots. Fascinating. Our group was especially fond of the Mary Madeleine’s Rose. And our choice for a glass was their Maria Sangria, which they offer in slushie form. Wine slushies are like heaven in a glass. When it is hot outside I feel there is just no better option. Why Aspen Dale Winery has “heart”: The focus of the wine tasting is to really educate you about the nuances of the wine, and they are very earnest about it. The people are super nice. Our tasting pro Luke was so funny, engaging and well informed. The location on a farm makes you feel close to the land, on the grounds you might encounter farm friends like their miniature horses. It is beautiful, hospitable and romantic. What a day. 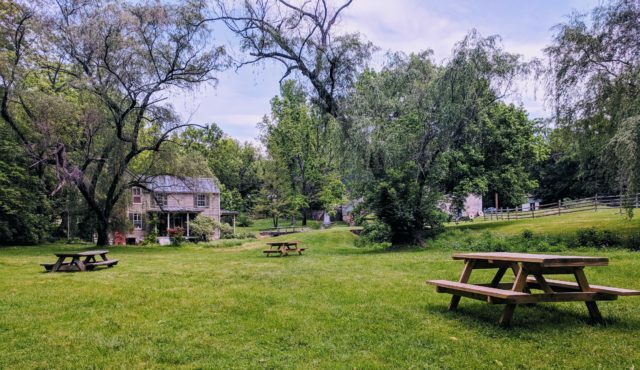 Magical Delaplane, you need to check it out. While we chose 2 wineries this trip, there are so, so many to visit. 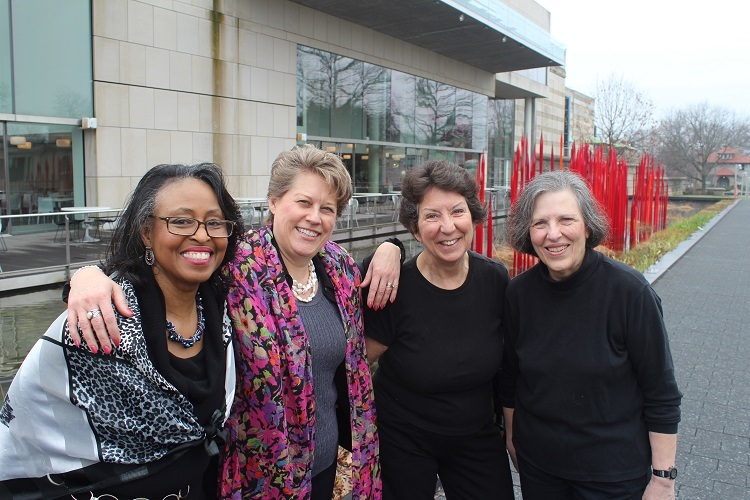 Check out Virginia Wine website to plan your trip to Northern VA wine country. And here is one more thing you won’t want to miss in this area. 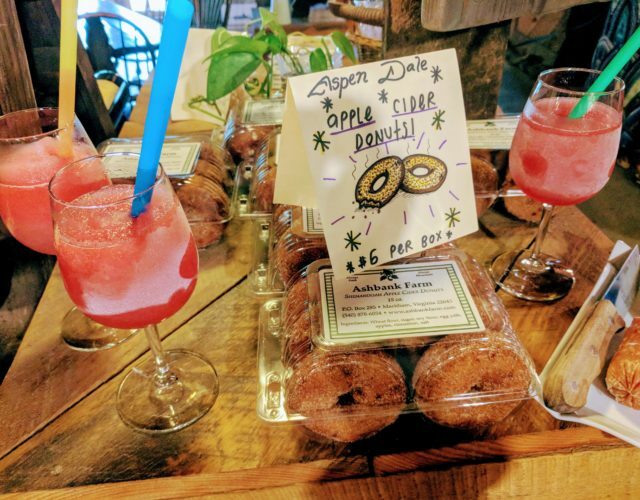 We didn’t have time this trip but are coming back later in the summer specifically to explore the “Peach Way”—a grouping of farms all within the same few miles that feature pick your own fruit in season, and also have farm markets, wine and the work of local artists. 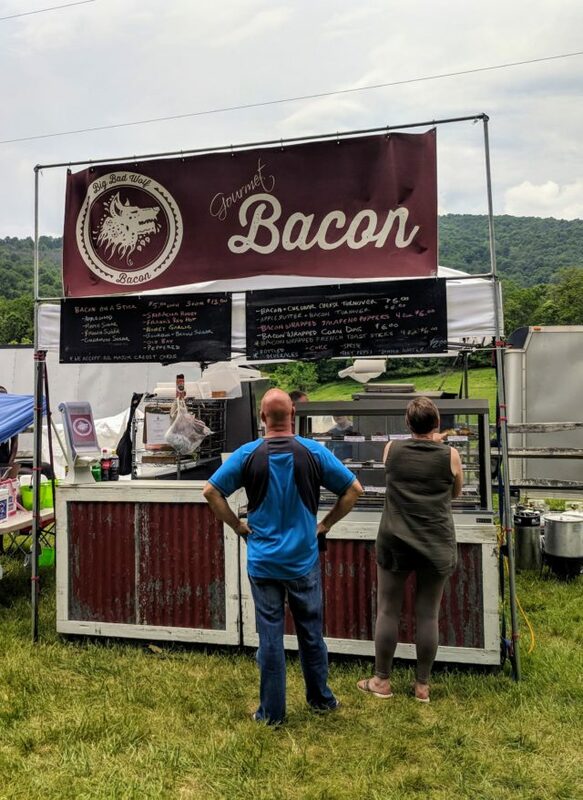 For more fun winery and festival adventures see Virginia Wine Trail Adventures: Saude Creek Vineyards and Let the Summer Fair and Festival Season Begin, with Wine and Chickens. YES! Loralee you are so right, the farms along Peach Way are incredibly beautiful, you definitely need to visit around July and August. Let’s go!